Venice Marco Polo Airport is an Italian airport located just north of Venice. Venice Marco Polo is the bigger of the two airports servicing Venice, and takes its name from the Venetian explorer Marco Polo. The airport is connected to the nearby railway stations of Venice-Santa Lucia and Mestre-Venice by scheduled bus services. Express bus connection is also available from the airport to the city. Or, you can opt to take a motor-boat or water taxi from the airport to the city. Car hire companies available at Venice Marco Polo Airport include AutoEuropa, Sixt, Avis, Europcar, Hertz, Thrifty, Locauto and Budget. You can book your car online to guarantee availability. 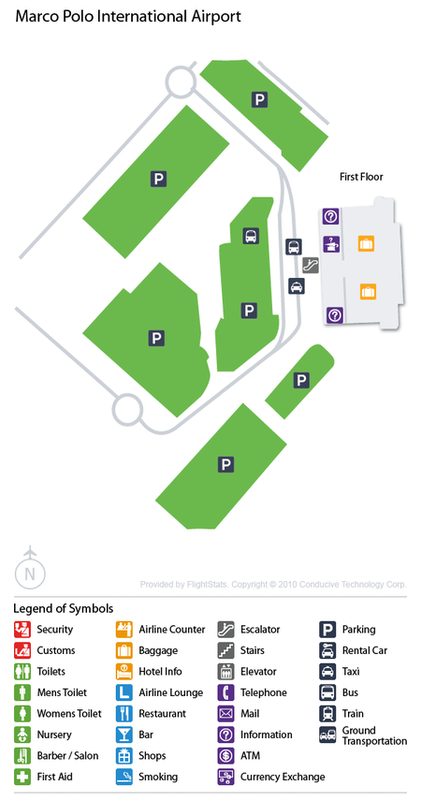 The check-in area is located on the first floor of the terminal. 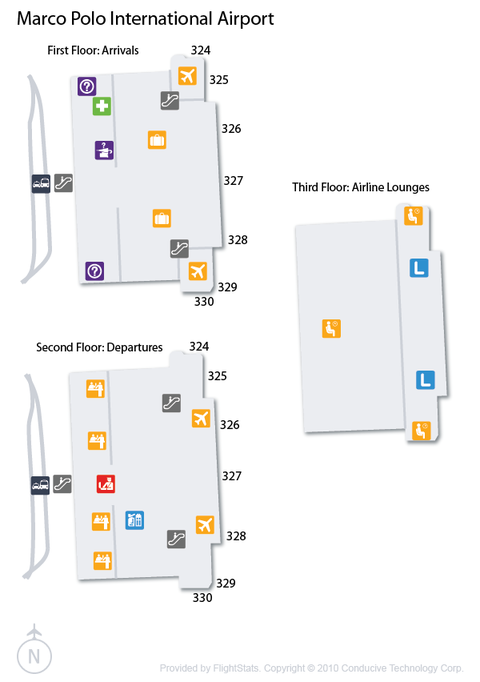 Money exchange facilities can be found on the ground floor of the arrivals area. Pre-purchase Euros in the form of cash from Travel Money. Business services are available in the Alitalia lounge, for eligible passengers. Baggage wrapping services are available on the first floor near the check-in area. Luggage lost in the airport can be collected from the storage room on the ground floor of the terminal. Located on level 2 is the independently operated Sala VIP Save Marco Polo Club. The lounge is open from 5:00am to 10:00pm daily. The lounge is equipped with a bar, telephones, TV, internet access and fax machine. Access is reserved for passengers with eligible airline company loyalty cards, and holders of the Card Il Milione or Marco Polo Club card. To arrange lounge access, talk to your Flight Centre consultant. Alitalia - Alitalia's VIP Lounge, Tintoretto, is located on the second floor of the terminal. The lounge opens for the first flight of the day and remains open until the last flight departs. The lounge offers seating areas, TVs, reading material, office space with desks and business equipment, free Wi-fi connection, bar area with Italian wines, liquors and soft-drinks and a wide range of food. Lounge access is dedicated to eligible MilleMiglia Members. The following airlines reach Venice Marco Polo Airport. Don't see the airline you are looking for? Talk to a consultant to book your Venice flights with your preferred airline. The following airlines reach Venice. Don't see the airline you are looking for? Talk to a consultant to book your Venice flights with your preferred airline. There are a number of hotels located within close proximity to Venice Marco Polo Airport. To book your Venice accommodation, search below or view more accommodation options.